Rapper Teflon Don, a Memphis, TN native is amped up about releasing his latest single Ride with Me, on all digital platforms. Ride with Me was recorded in EBMS Studios, in Minneapolis, MN. It was mastered by www.landr.com, mixed by Hc The Chemist, produced by @YankesPro (Europe), Executive produced by Donald Askew Jr., written by Donald Askew Jr. and Hc The Chemist, artwork by Vizion Jones of EBMS Studios, published by Memphis Soul Star Publishing/ BMI/ Songtrust, and is under the label Soul Star Entertainment. Ride with Me is currently available for purchase on all digital platforms. 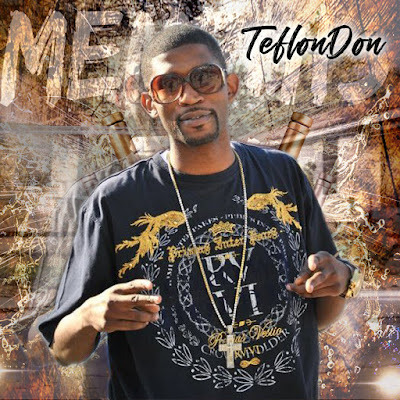 Teflon Don illustrates through lyrics a conversation of heartfelt life experiences and lessons he’s learned in the music industry and in his personal life. “Ride With Me” paints a picture using captivating lyrics along with a calculated blend of haunting and atmospheric melodies. Teflon speaks on trademarks, money gains and losses, politics, the music industry, police brutality, love, life and much more. Crunk, down south hip-hop, describes the sound of Teflon Don, reflective of his hometown Memphis, TN. With a soulful and rich voice, he delivers his music with a passion that resonates with all listeners. Crunk is a style of hip hop music that originated in Memphis, Tennessee in the early 1990s and gained mainstream success around 2003–04. Teflon Don's music reflects his life and his thoughts. Each song possesses different characteristics, that provoke people's emotions and help motivate and inspire people who share his similar feelings and upbringing.